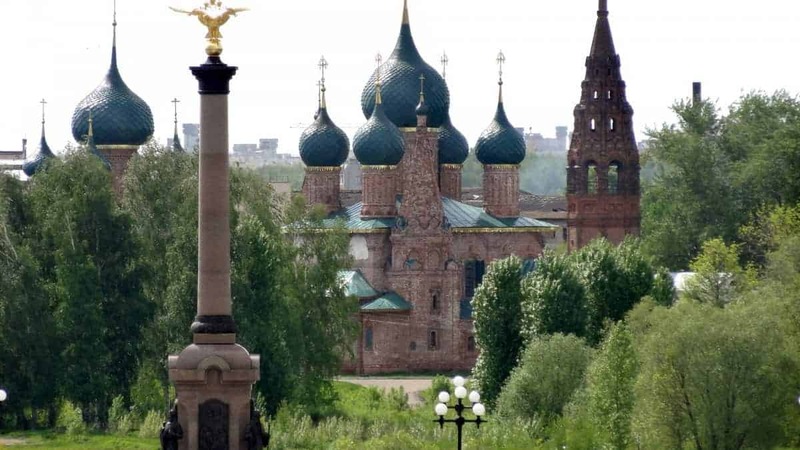 Yaroslavl celebrated its one-thousand-year history in 2010. The photographer Alexander Rybka has posted some fascinating visual stories about the events of that year in the city. 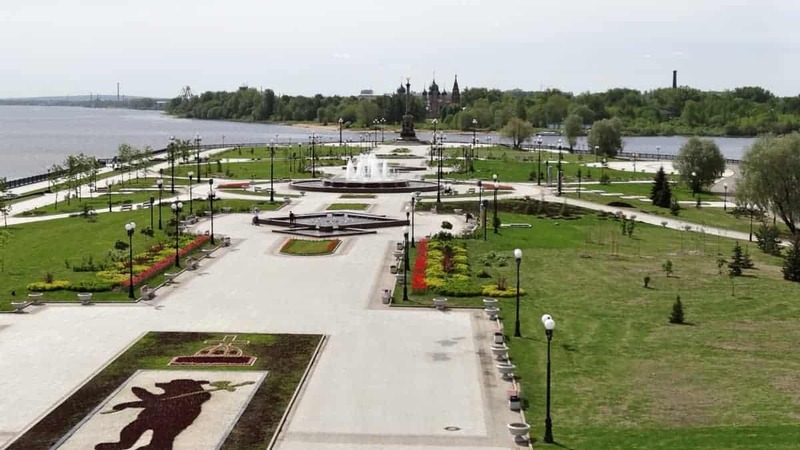 Particularly interesting, I think, are those about the installation of icons in the newly built Assumption Cathedral, and about the creation of the park and monuments on the Strelka. Here is my not-very-good zoomed-in view of the Millennium Monument at the far end of the park. Our acerbic guide described it as the Monument to Pomposity and Bad Taste.